What a great quilt! Thanks for the links. I like how this is quilt is coming together. I work the same way although I usually end up with doodles on the backs of envelopes and other scraps of paper. I’m off to check the math links next. Thanks Ann Marie. Before I put it all together I’ll lay it and photograph it and then I turn it to black and white to look at the light/medium/dark placement. I notice you accidentally discovered that in your last post. 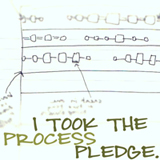 I never thought to do a post about that even though I ‘took the process pledge’, perhaps when I get to that stage I’ll post about it. I didn’t know there are online calculators for making quilts. I bookmarked them. Thank you for the links. Quilter’s Paradises’ Piece Count Calculator & Pieces to Yardage area calculator are very useful to me as I’m just hopeless at maths. looks great! 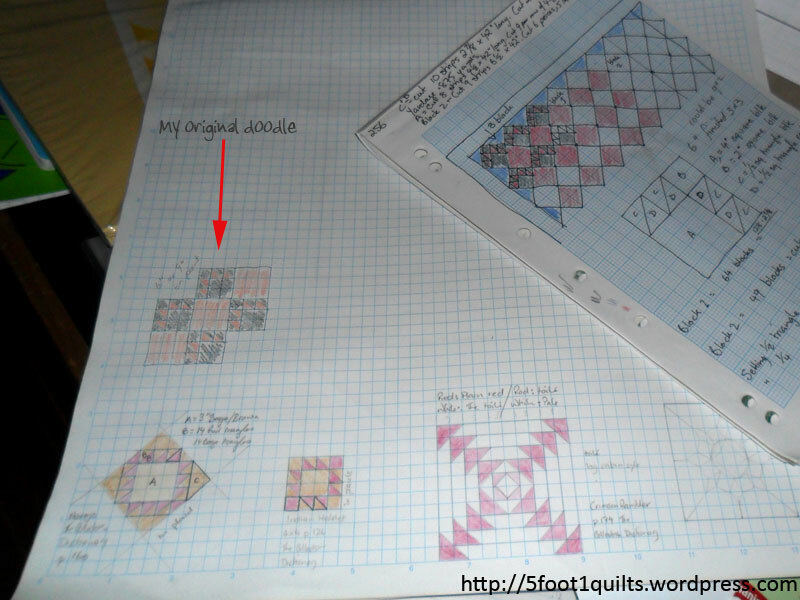 I had to smile cause most of my quilts are made the same way good old graph paper and my design wall…. I’ve thought about getting EQ7 but having used a friends EQ6, I’m not sure that it’s all it could be yet. And there’s something very satisfying about pencil and paper.